Unlike many cases, domestic violence offenses are often brought by unwilling complainants who want nothing to do with the case. Incredibly, the government is often insistent on prosecution. Thank you Mark for everything you have done for my family. My husband and I hired Mark 3 years ago for my oldest daughter who was falsely arrested by her ex-husband, Mark worked with us and represented my daughter who was found not guilty on all charges and worked until the record was cleared. I remembered that he did such a great job that when my youngest daughter was arrested for DUI we had to retain him again for her case with the same great outcome not guilty on all counts, it turned out to be a medical emergency due to her type 1 diabetes and he won that point in court. One of the main reasons I love working with Mark is because he always makes himself available and work hard on his cases at the same time. I have to say that his customer service is outstanding! A defendant who is facing domestic violence charges such as simple assault, aggravated assault, recklessly endangering another person, terroristic threats, amongst others should consider their full panoply of options. They may be eligible for Domestic Violence Court if the incident happened in Philadelphia, PA. The DA sanctioned program requires defendants to get Anger Management counseling and complete a period of supervision. If they are compliant the charges may be withdrawn and expunged. Another option in a domestic violence case is to contest the charges. Many such cases have few witnesses and are fraught with emotional overtones. If the complainant’s story or version of events can be called into question, the government may have precious little remaining evidence to prove their case. The defendant should also consider presenting character witnesses, testifying to bolster his defense, and/or attacking the complaining witnesses credibility. The government has the burden of proving any domestic violence case beyond a reasonable doubt. This is the highest legal standard in the country. It is the type of pause or hesitation one would make in coming to a major life decision. Making the government “prove their case” with an emotional and oft times reluctant witness may improve the odds of successfully defending the charges. Burden of Proof – In every criminal case, the government has the burden of proving every element of the crime beyond a reasonable doubt. A reasonable doubt is the sort of hesitation one would make in coming to a major life decision. If the fact-finder (judge or jury) is not convinced by at least this standard, the defendant must be found not guilty. If defendant is found not guilty he cannot be prosecuted again (except in highly exceptional circumstances) and there is no prison, jail-time or probation. Witness Credibility – The Sixth Amendment guarantees every accused the right to confront the witnesses against him. At the Law Office of Mark D. Copoulos we will scrupulously evaluate police reports, interview statements, and other evidence to prepare a cross-examination of the complaining witness. In domestic violence cases the complaining witness is the alleged victim, spouse, lover, or family member who has brought the charges. Often in such cases, there is a motive to lie or fabricate as emotions may run high in family matters. If the complaining witness has a criminal history, pending child support cases with the defendant, or other motive for bias our office will doggedly question the complainant on these matters at trial of the matter. Testimonial Witnesses – At the Law Office of Mark D. Copoulos we understand there are two sides to every story. In a criminal trial, it is often best for the judge or jury to hear the other side of the story. This means our office will research individuals who may have witnessed the incident. We will investigate candidates to testify on the defendants behalf. The defendant may want to take the stand and assert his innocence. If self-defense is at issue then defendant must place some evidence on the record to establish that theory. Rest assured that if you are called to testify our office will spend hours with your carefully discussing and reviewing the case. 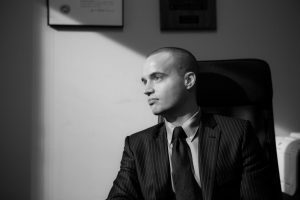 At the Law Office of Mark D. Copoulos, we understand that Domestic Violence cases are exceptionally fraught with emotion. By definition, such cases involve family members testifying against each other in a court setting. In such situations neither side often has a clear vision of what happened. If there is uncertainty as to what occurred, the defendant by definition must be found not guilty. If you have been charged with simple assault, recklessly endangering another person, terroristic threats, or related charges, and a loved one is involved, contact our office right away at 267-535-9776. 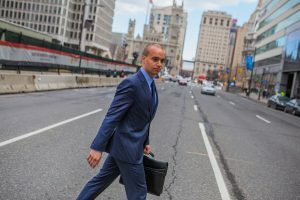 Our Philadelphia criminal defense attorneys are standing by and ready to take your call.